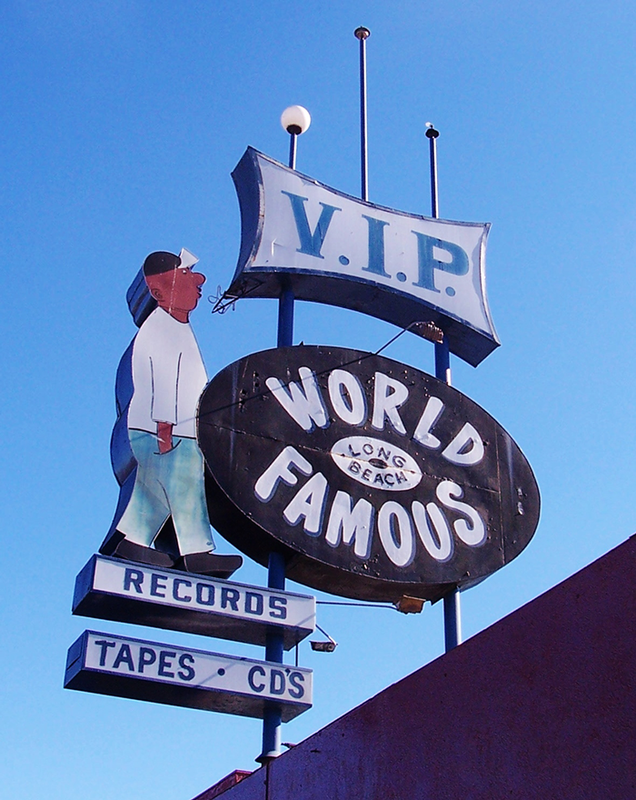 Spearheaded by Mayor Robert Garcia and Councilman Dee Andrews, the City of Long Beach has identified $80,000 to help World Famous VIP Records, LLC preserve its iconic sign, Andrews’ office announced today. The allocation is scheduled to be voted on by Long Beach City Council on Tuesday, May 9. If approved, the funds will assist World Famous VIP Records, LLC in removing the sign, transporting, restoring and storing it, while the sign’s future location is determined. Almost 2,000 people signed VIP Records CEO Kelvin Anderson’s petition urging the City of Long Beach to preserve the store by designating it a historic landmark, donating city land or a building to move the sign and build the World-Famous VIP Museum and Creative Arts and Technology Center in early March. Recently VIP Records started a petition to further preserve its legacy by keeping a 7-Eleven from moving into the now-vacant store. Almost 1,500 signatures have been collected. You can learn more about the petition here.